Hermes is the mythological emissary who would carry the messages of the Greek gods with speed and grace. One legend tells of Hermes accidentally, and fatally wounding his dear friend Crocus, whose spilled blood gave birth the Crocus flower. Although we may not be privy to the gods or have Hermes’ winged sandals, we too may send meaningful messages with grace with flowers. 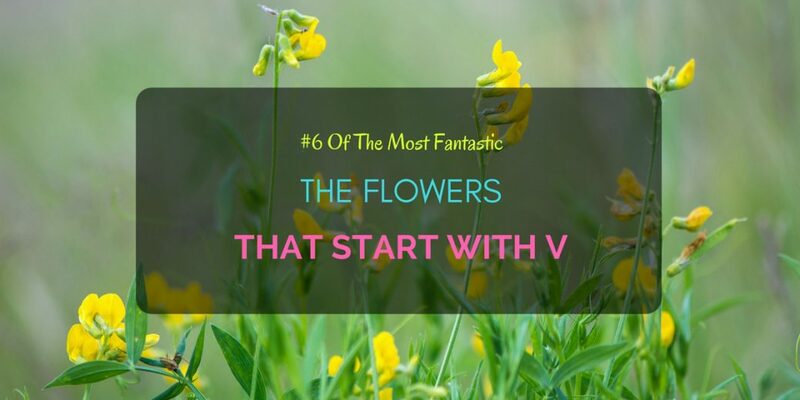 Take for example these flowers that start with V.
As you decide on a gift and a message for a dear loved one or a fellow flower enthusiast, consider the symbolism behind the bloom. There are approximately 150 species of Viburnums, most of which are native to the Northern Hemisphere. Their delicate bouquet-like flowers bloom in creamy white and pink clusters. But don’t let these tiny blooms fool you, the viburnum is a tough, sturdy plant that can endure the elements, drought and most climates once you establish it. The viburnums durability aptly symbolizes strength, resilience, and a strong spirit. Another seemingly unimportant flower with tiny blooms is the Vervaine. Its blossoms sprout from multipleflower spikes, similar to a candelabra. The spikes hold pale lilac or lavender blooms, emitting a distinct light aroma. The Vervaine’s botanical name originates from its description in Ancient Rome as an aromatic in religious services. In modern times, the Vervaine has applications in traditional and herbal medicine. So, despite its small flowers, the Vervaine plant holds a crucial place in healing. The Vervaine represents sensibility and iron-hard will. Hermes would have shown quite an interest in the Venus-looking-glass as the plant derives its name from the goddess of love and beauty, and once Hermes’ lover. It is an apt name for the eye-catching violet-purple blossoms of this spring annual, easily as seductive as the goddess. Why “looking-glass”? You may ask. This name is due to the plant’s very shiny, almost mirror-like, oval seeds. The Venus-looking-glass represents the danger of vanity in extreme beauty. In contrast to the familiar nursery rhyme, violets are not blue. Violets are, well, violet and extremely sweet-smelling. The viola odorata is so fragrant that history calls them Sweet violets as they emit their pleasant odor from impressive inflorescences. Many an artist, writer, and painter have soaked in the fragrance of violets during their many inspirations. The sweet violet symbolizes affection, nobility, dignity and goodness. Although common and tiny, the purples and pinks of the Vetch flower may entrance you still. You’re not alone though as bumblebees love visiting the bright flowers. The vetch is a favorite among those who raise horses and cattle since they thrive (and even fatten) on these plants. The blooms of the vetch represent the beauty and elegance in simplicity. The Vetchling’s seemingly glowing flowers represent how the smallest of lights can enlighten the darkest of rooms. Why Do Roses Have Thorns and How to Cut Properly?